Coming soon to a Bad Dog near you!!! 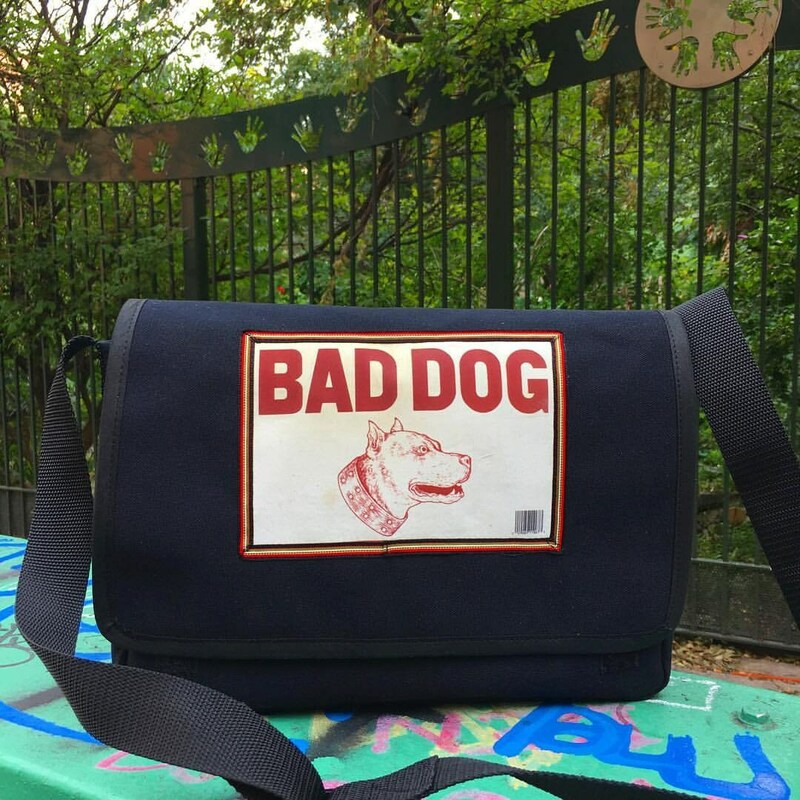 This messenger style bag is made from a heavy duty cotton duck canvas and features an image of a pit bull and the words Bad Dog taken from a fence sign. The bag features an interior pocket and a large exterior pocket under the flap. Velcro closures secure the flap of the bag to help keep your belongings safe. There is a 1.5" black adjustable poly pro webbing strap. This bag is also available as a smaller Day bag.